TLC has been featured and recognized by several media outlets, including Aqua Magazine, HGTV, DIY, Fine Living, and A&E. They have also received top honors, winning several design awards for remodeled outdoor living spaces, including the coveted Houston’s BEST Prism Award, presented by the Greater Houston Builders Association for two years running! Known for crafting some of the best custom work in Texas, TLC Outdoor Living’s showroom is located just outside of Houston, and Cypress, in Tomball, Texas. TLC Outdoor Living is the proven best choice of custom pool builder. Stop by for a visit of their new, state-of-the-art store front, located at I-10 and Hwy 99. TLC Outdoor Living is the proven best choice of luxury pool builders in Spring TX. Stop by for a visit of their new, state-of-the-art store front, located at I-10 and Hwy 99. From concept to creation, TLC Outdoor Living will work right along and beside you to create your ideal backyard getaway. 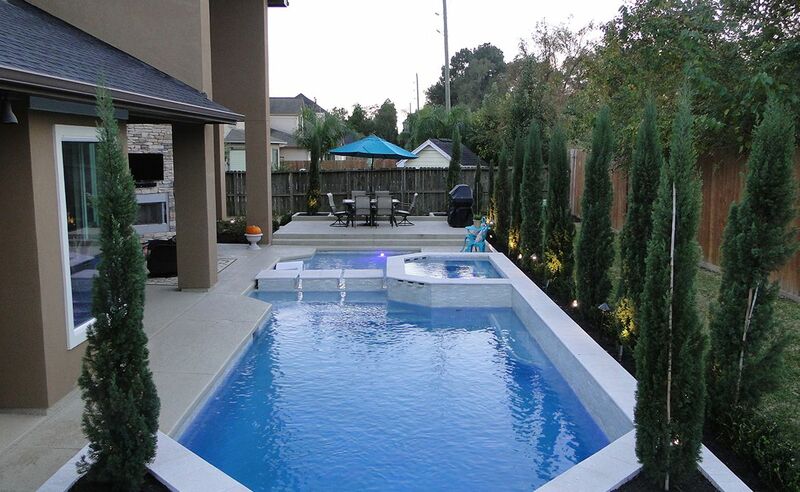 From pools and spas, to patio kitchens and hangouts, TLC Outdoor Living is the team of pool builder that Spring, TX, can trust to create a custom living space for years of relaxation and enjoyment. TLC’s award-winning staff and Design Studio provide valuable insight, inspiration, and the knowledge to achieve your ideal pool Vision. They will have you swimming and enjoying your pool and backyard as fast as you are ready to build. From initial concept, through design and planning, all the way to your first cannonball into the deep end, TLC will live up to their famous initials and handle your pool project with Tender Loving Care. Your new pool scape and backyard retreat will wow guests and provide a welcome escape from the intense heat of Texas summers. They can even provide heated options so that you can enjoy your pool year round!. Your Job Project Manager will oversee the onsite management and all administration processes for completion of your pool install or remodel. You will be able to observe the level of dedication and adherence to the quality of the work being done throughout the entire pool construction project.